The sample's order will appear randomized. 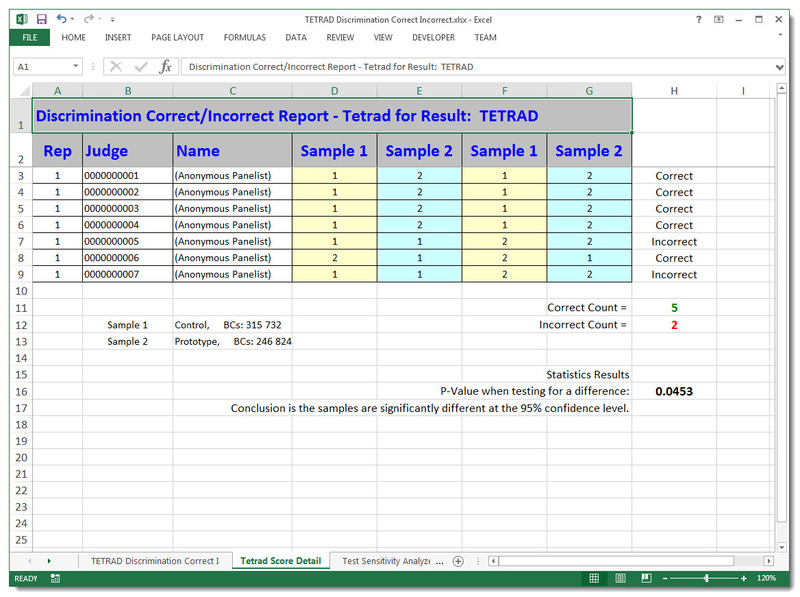 SIMS will detect this as a Tetrad Test and validate the 2 x 2 responses for Group A & Group B. Conclusion is the samples are significantly different at 95% confidence level. Each of the 4 Hedonic questions text = "Sample <RELATIVE_SAMPLE_#_BLINDING_CODE>" , where # is 1 to 4. Only ONE Tetrad group of 4 can be built into the ballot. Most other SIMS reports will not provide meaningful information, please use the one report mentioned above.